This is unfortunately the last thing I'll be sewing for a while... my machine is in the shop getting cleaned and checked out. This is a book cover I made for a National Parks passport... one of those books you haul with you to every national park you go to so you can stamp it at the visitor's center. I'm really pleased with how it turned out. It'll definitely keep the book from getting all crumpled and crushed in my backpack while I'm traveling. 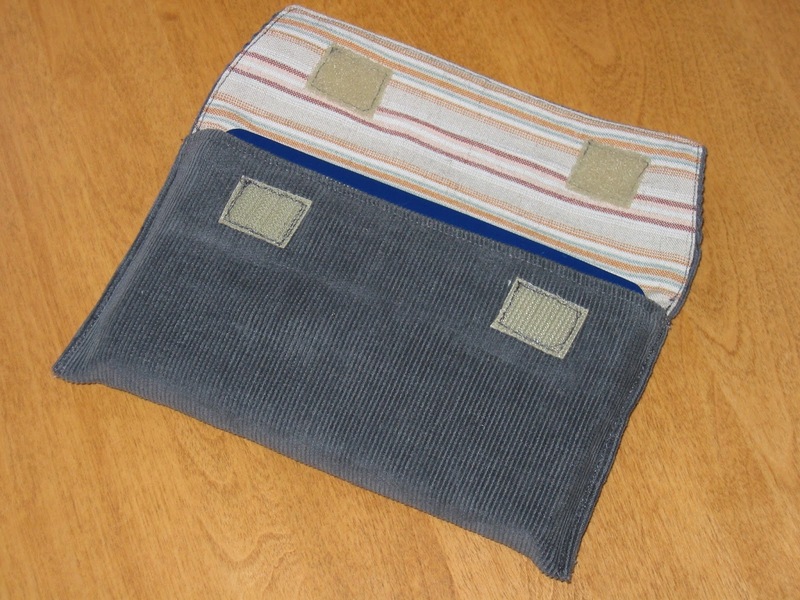 It's made from some scraps of corduroy and stripey woven fabric.